« Don’t blame me ! Which calls annoy you the most? “Sally from cardholder services”, “Selected for a free vacation”, “Detected a virus on your computer”, “Clean your air ducts” … or, something else. Hard not to notice that the “do not call list” is an emasculated relic. (1) The practice is so widespread that it’s nearly impossible for the Feds to stop it … especially since many (most?) are now originating offshore. The DNC list worked – somewhat, for awhile – because voluntary compliance was pretty good … so there were relatively few perps who could be ID’ed and nailed with big fines. (2) Homa’s “Rule of Non-recurring Idiocy” … translation: it works! Sure, the hit rates are low but they’re not zero. 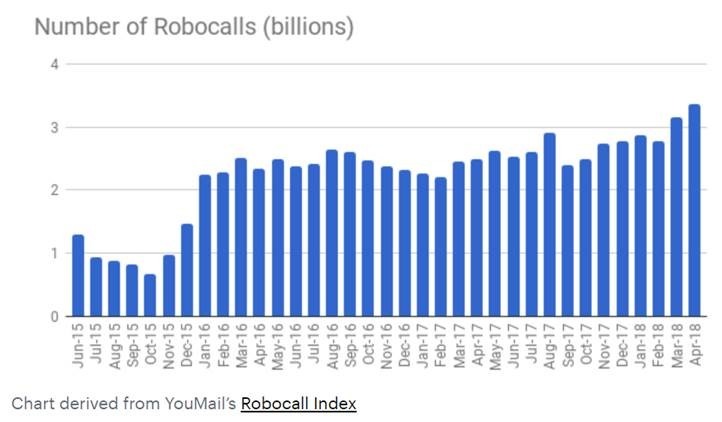 The costs of making an automated call are so low and the return is so high when a fish is caught, that the economics are sufficiently good for the practice to proliferate. Bottom line: Don’t expect the flood of nuisance calls to subside anytime soon. And, don’t expect government regulation and enforcement to cause a cease & desist. This entry was posted on June 7, 2018 at 6:59 am and is filed under Cons, Robocalls, Spam & scams. You can follow any responses to this entry through the RSS 2.0 feed. You can leave a response, or trackback from your own site.